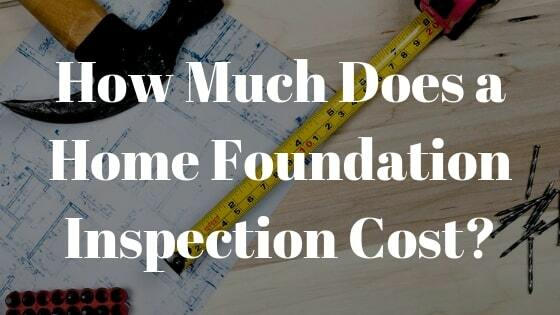 How Much Does a Home Foundation Inspection Cost? In Texas, many reputable companies offer free foundation inspections for homes. This means that you do not have to pay for anything. Slab, as well as pier and beam foundation evaluations, do not attract any charge unless a structural engineer is part of the process. A Foundation evaluation should be the first step when performing a kitchen remodel to rule out the need for repair. 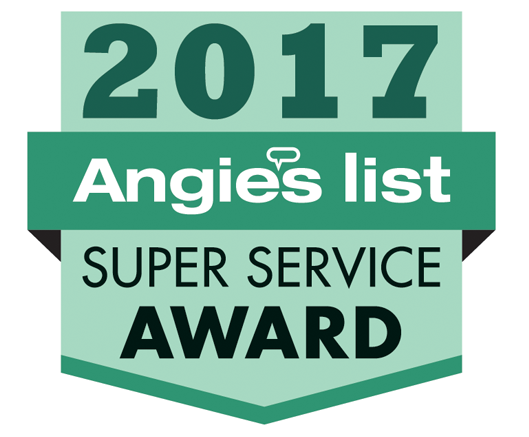 Too often, we are called in after the kitchen has been remodeled to perform a foundation repair. Kitchen remodeling ranges from $15,000 to $30,000 plus appliances. It usually involves new counter tops, perhaps a change out of cabinets, and a new tile or wood floor over concrete. Slab foundation repair cost can be expensive and may even cause collateral damage with extra costs as well. Having all the facts before you begin repairs will help you choose the right company and avoid unexpected cost and delays. At Granite, we perform slab foundation repairs as well as pier and beam foundation repairs. A concrete slab foundation problem needs prompt evaluation and professional foundation repair. This will help to minimize the total cost of repair and collateral damage such as the cost to fix walls and ceilings. 1. It is important to get a thorough evaluation of the problem. Reputable foundation repair companies in the Dallas Ft Worth Texas area will perform an initial foundation evaluation at zero cost to the homeowner. As a part of the repair process, the foundation company will engage a professional engineer. The cost of a professional engineer’s report is in the range of $450-$800. Should soil samples be required, be prepared to pay an additional $1200-$2000 for a geotechnical report. A complete foundation evaluation will include elevation measurements with a quality instrument such as a Compu-Level. 2. Crack repair can cost $500-$2500. Crack repair is usually one element of a more complex repair plan. 3. Foundation problems often require underpinning to regain foundation strength. Underpinning a foundation requires piers or pilings every 6-8 feet in the area that is failing. The cost of piers depends upon the type of pier used and the number of piers required. Exterior piers can cost $350-$600 each. If it is necessary to cut holes in flatwork such as sidewalks, porches or driveways, add $75-$125. When interior piers are required to fix the foundation problem, add $125-$175 per pier. Tunneling may be required to preserve interior floor coverings. The cost of tunneling in the Dallas Fort Worth area is $200-$275 per linear foot, plus the cost of interior piers. Underpinning a corner of a house foundation can cost $2500-$6500. 4. The cost to mudjack a foundation is in the range of $2500-$8500. Mudjacking may lead to additional problems and is not normally recommended for foundation problems in areas of expansive clay soil. 5. Permits can add to slab foundation repair cost. Most cities in North Texas require permits before beginning repairs. The cost of a permit is in the range of $75-$150 and may be a flat percentage of the cost of the foundation repair. Dallas charges a minimum fee plus 0.9%. 6. Drainage correction may augment underpinning at a cost of $1100-$5500. Drainage correction may eliminate the need for foundation repair and underpinning. 7. The total cost to fix a medium-sized foundation problem can run $3500-$8700. The cost to repair an extensive foundation problem is in the range of $9500-$28000. Insurance usually does not cover the cost of foundation repair. Why Does the Cost of Concrete Slab Foundation Repair Vary by Contractor? The cost of concrete slab foundation repair can vary depending on the contractor you choose and the foundation repair plan they create for your foundation. Be sure to get a free foundation evaluation before selecting a contractor. We will discuss the top five reasons for variations in foundation repair cost. 2. Cost of installing piers: The installation cost for concrete cylinders pilings is dependent upon soil moisture and installation technique. When soil is dry, a reputable company will water inject to achieve greater piling depth. Water injection takes longer and costs more in materials and manpower. The result is well worth the additional cost of foundation repair. 3. Pier type: In the Dallas Fort Worth area the two most common piers are concrete pilings and steel piers. Steel piers are driven to rock or shale, while concrete pilings are limited in depth by soil moisture and the weight of the house. A deeper drive is always preferable. In areas of Houston, where rock is 600 feet deep, steel is not practical. 4. Insurance: A reputable company will carry Liability Insurance and Workers Comp Insurance. This insurance is expensive. Workers Comp Insurance assures that if a worker is injured at your house, his injury is fully covered by the company. Without the insurance, an injured worker can seek reimbursement for all medical costs from the homeowner. 5. Permits: There is the direct cost of the permit and the indirect cost of an engineering report by a professional engineer. Skipping the permit process can save upwards of $600…unless the city catches the violation. If you own property in North Texas, it’s always good to understand foundation issues. Weather patterns such as wind can trigger foundation problems that may either be cheap or expensive to fix. An excellent way to keep the cost of repairs low is to do a regular inspection on your foundation to verify if there are any cracks in the slab. You may also realize your floors are uneven or your doors fail to close properly. When this happens, it’s best to get in touch with a professional foundation repair contractor to allow them to examine your foundation. The cost of foundation repair always depends on the extent or severity of foundation problems. Large and visible foundation cracks signify extensive foundation damage. If your slab foundation is severely tilted, you need to install numerous piers around the foundation. This will translate into higher costs of repairing your slab foundation. Huge settling or other foundation complications have an impact on the time taken to service your foundation. Slabs that are extensively damaged ordinarily need more time to be fixed. If your slab foundation is seriously damaged, numerous foundation piers will be needed to fix the problem. When estimating repair prices, you need to consider the degree of damage to your slab. Commercial properties that have uneven or broken slab foundations can cost over $20,000. This happens especially if there are multiple issues that need to be urgently addressed. Slab foundation repair costs are also determined based on the size of the structure. For large structures, a North Texas area contractor must make fee adjustments in line with project requirements. Interior foundation piers are more costly to install compared to exterior piers because intensive labor is required when cracking a concrete slab. Fortunately, you don’t need to damage the slab when installing foundation piers around the perimeter. Ultimately, the cost of the project depends on the size of the foundation and the number of foundation piers required.